"Uncertain Futures And Fading Pasts" (2005) ORDER NOW! Angelmark = Michael Turner: Guitars, bass, keyboards, metallophone, xylophone, omnichord, cymbals, found sounds, treatments. Recorded and produced by Michael Turner. Mastering by Shawn Pinchbeck. Art and design by Lam Wong. All music copyright 2005 Angelmark, registered with SOCAN. Thank you: Mandy Cousins, Michael Halldorson, Shawn Pinchbeck, Todd McKenzie, Lam Wong & Design + Format, Jeff Keibel, Tassos Patokos, Joseph Kyle, Eric Ostermeier & Words On Music, Dan Sostrom & all at Tonevendor, Mark Beazley, Michael Pougounas & Cyberdelia Records, Rick MacLean & Ping Things, everyone who bought the last album or took the time to get in touch. 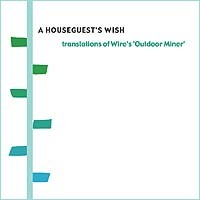 Translations of Wire's Outdoor Miner" (2004) ORDER NOW! Mandy Cousins: Vocals, words. Michael Turner: Guitar, bass guitar, keyboards, drums, percussion, programming, some backing vocals. Recorded and produced by Michael Turner. Mastering and editing by Shawn Pinchbeck. Special thanks: Stewart Hall, Michael Halldorson, Jeff Keibel, Shawn Pinchbeck. Art and design Lam Wong (designformat.com). All songs registered with SOCAN. Angelmark is Michael Turner. 6-12 string electric and acoustic guitars, bass guitar, keyboards, percussion. Recorded and produced by Michael Turner. Special thanks: Mandy Cousins, Michael Halldorson, Jeff Keibel. Art and design Lam Wong (designformat.com). All songs registered with SOCAN. "Places We've Been" (2003) ORDER NOW! Limited edition split CD EP available with the first 100 copies of the Greek music zine Sense (issue #32). 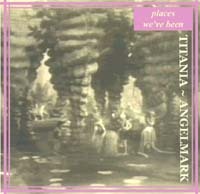 Features two tracks each from Titania and Angelmark from their respective debut albums. All songs registered with SOCAN. "Dimming The Glitter Of The Stars" (1997) ORDER NOW! Voice, harmonies, improvisations & words: Mandy Cousins. Instrumentation, additional voice, harmonies & treatments: Michael Turner. Recorded and produced by Michael Turner. Mastered by Shawn Pinchbeck. Special thanks: Elaun Cable, Michael Halldorson, Brant Nelson, Alain Ouellette & Shawn Pinchbeck. Art & esign by Lam Wong. All songs registered with SOCAN. "Splashed With Many A Speck" (1997) ORDER NOW! 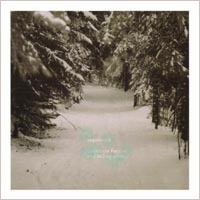 A two-CD album compilation on the Dewdrops label. Also featuring Cocteau Twins, Love Spirals Downwards, Bethany Curve and Luminous Orange among others. Voice: Mandy Cousins. Instrumentation: Michael Turner. Recorded and produced by Michael Turner. Mastered by Shawn Pinchbeck. Photography by Brant Nelson on and around Patch and Speckled mountains, Oxford County, Maine. Design by Pat Mannion with Brant Nelson & Nancy Woolsey. Written by The Sensualists. "Blue Girl" Registered with SOCAN. Purchase this CD at the Dewdrops homepage. "Lovesongs Of Chaos And Desire" (1994) ORDER NOW! Voice: Mandy Cousins. Instrumentation: Michael Turner. All songs written by The Sensualists except "Knee Deep Sub Zero" rhythm program and bass part written and arranged by Michael Halldorson & Michael Turner. Instrumentals written by Michael Turner. Produced and engineered by Michael Turner. Art & design by Lam Wong, Direction A Graphic Product. Photography by Francois A. Willey. All songs registered with SOCAN. Voice: Mandy Cousins. Instrumentation: Michael Turner with Richard Turner on bass guitar and keyboards on "Supernover" & "One Million Stars". Engineereded and produced by Michael Turner. Art and design by Lam Wong. Released in a cardboard O-card slipcase (pictured) with a fold-out color inlay sheet presented behind an opaque sheet of tracing paper. Only very limited quantities made. Written by The Sensualists. All songs registered with SOCAN.